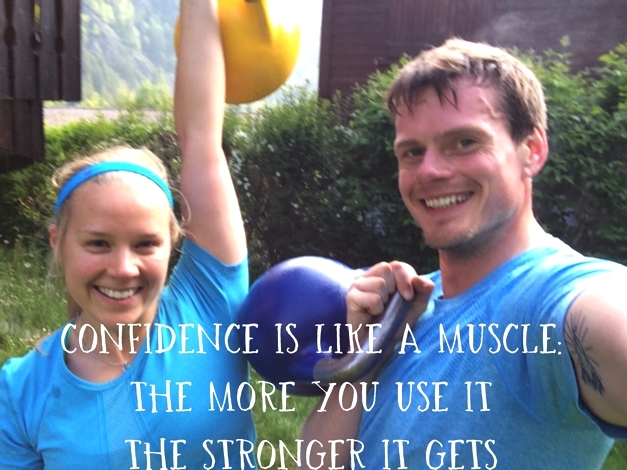 We cannot underestimate the power of feeling good, strong, happy and confident. For me, this is where progress is made. Over the last five years I've cycled from London to Paris in 24 hours four times, climbed North Face routes in the Alps, won open water swim races, completed Ironman Wales in sub 13 hours, completed the 3 Peaks Challenge several times, once whilst also cycling the 450 miles between them in 60 hours. Recently I ran 62 miles in a single push from London to Brighton for fun. I remember vividly when running 3 miles was a big challenge and hurt like hell! Recently asked "how do you avoid letting training take over your life?" My response? "I try to do as little as possible." Of course I love training and the positive impact it has on me, but I also cherish the days when I can do all the other things I love to do without motivating myself to train as it doesn't come naturally to me. I've seen people let training take over their lives which is fine if you want something bad enough, but for me that wouldn't be sustainable long-term. For example, with Ironman Wales, I spent four weeks in the summer building endurance and having fun climbing and cycling in the Alps. I began specific Ironman training seven weeks prior to the race which included my first Olympic tri and first half ironman. I have been known to train for events like cramming for an exam, it's all heavy duty and last minute. This is definitely not my advice, I'm being honest about my experience. Speak to anyone who is a seasoned athlete and they'll tell you that consistency is king. Through training for and completing these challenges I've learnt a huge amount about my body, limits, motivation and best training practise. I've developed what I call CONFIDENCE TRAINING. I don't stress myself out with times, splits or speeds, I work on how I feel, how far and how hard I can push myself. More often than not I run, swim, cycle and climb naked. Not the type of naked you might be thinking of! I mean without technology to track my session and compare stats. This is in part due to it being less faff, but moreso because I like to feel progress. After years of yo-yoing between building fitness and letting it slip post challenge, I've learnt that if I put the work in, muscle memory counts for a huge amount. The more you practise, the quicker your improve. Now, my body and mind know what it's like to sit on a bike and ride for 24 hours. They get into the zone without much prior training. It's like flicking a switch. There's the intital resistance whilst everything settles down, as though it's saying "are you really doing this to me again?!" But, soon my legs get with the program and it feels easier each time. We could all be fitter, stronger, faster. We could all have trained more, harder, longer. When we're lining up on that start line, the last thing we want to be thinking are thoughts like that. It's important to accept that my fitness is a direct result of the decisions and actions I've taken and I need to be comfortable with that. As I said, I love training but I also love living, eating things that don't normally find their way onto a strict athlete's meal plan and socialising. Training and life need to compliment each other. By looking positively on myself, who I am and where I'm at, I can use all my energy to focus on making progress rather than being negative about what I haven't achieved. We cannot underestimate the power of feeling good. For me, the aim of every session is to feel strong, happy and confident. I could stress myself out, always feeling like I should be climbing harder, cycling further and running faster. I could worry about the goals I have for this summer and put pressure on myself to improve quickly. I could let training absorb me and my life and panic that I'll never be good enough. Am currently based in Chamonix and training for - The Alpine Coast to Coast - to become the first person to climb the highest mountains in each of the 8 Alpine countries and cycle between them. Last weekend I was on my first cycle ride here. I cycled 50kms with 1500m ascent over 4 hours. I took it easy. I wasn't beasting myself up the hills because my goal wasn't to set myself a time to beat. My goal was to train, acclimatise and settle into riding my new bike and in a new environment. Above all my goal was to enjoy it. I don't focus on climbing the hardest route, cycling the steepest mountain or going flat out to improve. I do focus on the end result being: to feel good, strong and happy. I am confident I will see dramatic progress and be able to achieve my goals. This is my strategy for life in general not just for fitness and training! Another feel good factor to bear in mind is having the right kit and equipment. If you feel comfortable and you've got the right kit, this will set you off on the right footing. Last Saturday I tried out the new Adidas Supernova cycling range. I was particularly impressed with how light and comfortable the jersey was to wear. I felt it wick the sweat away and keep me cool whilst I climbed those hills. A big fan of bold, bright colours on clothing, I have to admit I'm rather in love with the turquoise colour and simple, stylish designs. I felt as though I was wearing a unique, fun style and it was most certainly fit for purpose. Highly recommended! Check out their range here. Last but not least, enjoy a beer afterwards. It tastes and feels so good! Everything in moderation. Always keen to hear about your goals, what works for you and any way I can help you.